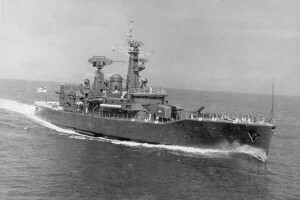 A major objective of the 1969 – 1974 Defence Plan was self reliance in the field of warship design and warship production. The aim was to meet the Navy’s requirements through indigenous efforts and conserve foreign exchange. Accordingly, the indigenous construction of frigates, patrol craft, submarines, minor war vessels and auxiliaries had been accepted in this plan. In 1969, Naval Headquarters proposed to Government that a full fledged Directorate of Naval Design (DND) be sanctioned. At that stage, the Navy did not have either adequate design experience or capability. There was also an acute shortage of technical officers. Naval Headquarters had envisaged the induction of foreign designers on loan, with assurance of back up from their parent organisations. Garrisoning and defence of the Andaman and Nicobar (A&N) Islands. This would also counter Indonesia’s substantial naval build up that had commenced in 1958 with massive Russian assistance. In the post Independence IN, ship design made a modest beginning in 1962 with the establishment of a design cell in the Directorate of Naval Construction (DNC). By 1965, this cell had expanded to become the DNC’s Central Design Organisation (CDO). 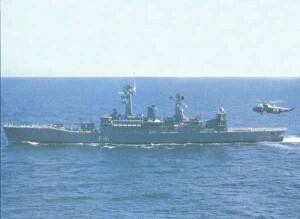 By 1968, CDO had successfully designed and handed over to the Navy numerous auxiliary vessels. In 1966, CDO had also assisted in the construction in Germany of the new Fleet Tanker Deepak. It was in 1950 that the Navy recruited its first Naval Architects and thereby laid the foundation for creating a capability to design and build its own ships. A modest beginning was made in the fifties and early sixties with designs of some yard craft. From the mid-sixties onwards Seaward Defence Boats and a Survey Vessel were attempted. These projects met with varying degrees of success but certainly proved to be a valuable learning process. The Government’s decision to build the Leanders at Mazagon Dock Ltd (MDL) helped bring modern warship building technology into the country. Major changes and improvements incorporated in successive Leanders gave the Navy’s designers as well as the shipbuilders the confidence to attempt the Godavari. The Leander Project was a new experience and was the transition to indigenisation. By end 1964, all the major aspects of the collaboration had been finalised. In addition to the technical aid fees, an annual amount of £40,000 was to be paid for the Indian Frigate Project Organisation in Newcastle, whose function was to liaise with the Lead Yard, Yarrow (Shipbuilders) who were to provide the basic working drawings for the construction of the first Leander in India. The Memorandum of Agreement for the Leander Frigate Project, known as the “Blue Book”, was signed on December 22, 1964, between the Government of India and Vickers Yarrow. It was agreed that Yarrow would provide technical aid including the provision of basic technical drawings and the placing of 60 British technical and other personnel from senior managers down to foremen level to assist MDL in the project. Supplies of major items were to be from Vickers/Yarrows and supplies of materials would be from other suppliers in the UK. 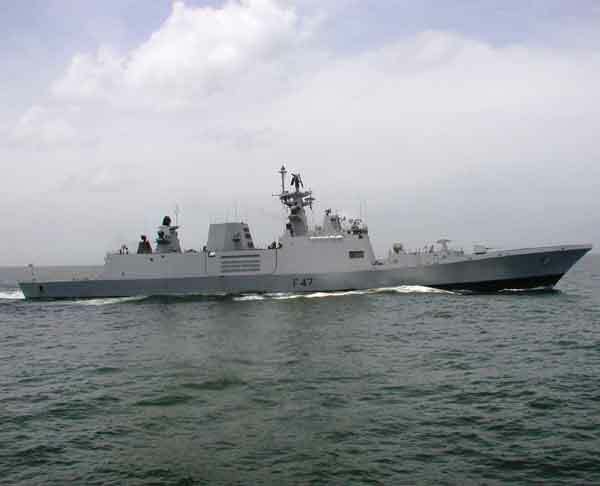 The Government of India then placed an order on MDL for the construction of the first frigate. MDL was also re-organised to cater to the Frigate Project. In 1966, a Frigate Cell was established with those who had returned from UK after training. In 1968, Government sanctioned the new Directorate of Leander Project at Naval HQ (NHQ) to handle all aspects of design, to coordinate with Vickers and with Yarrow, to approve drawings and generally manage all the technical activity of the Leander Project at NHQ. On October 23, 1968, the then Prime Minister, Indira Gandhi, launched INS Nilgiri, the first of the Leander-class frigates built at MDL, Bombay. INS Nilgiri was subsequently commissioned by her on June 03, 1972. 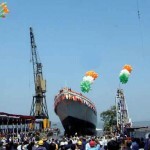 The keel of the second frigate, Himgiri was laid on November 04, 1968, and the ship was launched on May 06, 1970. Installation of machinery was completed in December 1973, Basin Trials were successfully completed in January 1974 and Himgiri was commissioned on November 23, 1974. Fabrication work on the third frigate began in April 1970 behind schedule by three months due to delay in the supply of steel by Hindustan Steel Ltd – as there was acute shortage of steel in the period 1969-1970. The interval between keel laying and launching increased to 25 months. The main machinery, which should have arrived at the time of the ship’s launching in October 1972, was actually received in May 1974, thereby further delaying the ships commissioning till February 18, 1976. The fourth Leander INS Dunagiri was launched on March 09, 1974 and commissioned on May 05, 1977. In 1972 and 1973, as operating experience was gained with the Nilgiri and the Seaking anti-submarine dunking sonar helicopters and in view of the continuing acquisition by Pakistan of modern submarines from France, it became clear that future Leanders would require greater anti-submarine capability. In early 1973, NHQ initiated studies to improve the anti-submarine capability of the fifth and sixth Leanders. These changes that crystallised in mid-1973 involved embarking the heavy Seaking helicopter and improving anti-submarine sonars and weapons. These design changes delayed the commencement of construction and production could commence only in April 1975. INS Taragiri was commissioned on May 16, 1980. 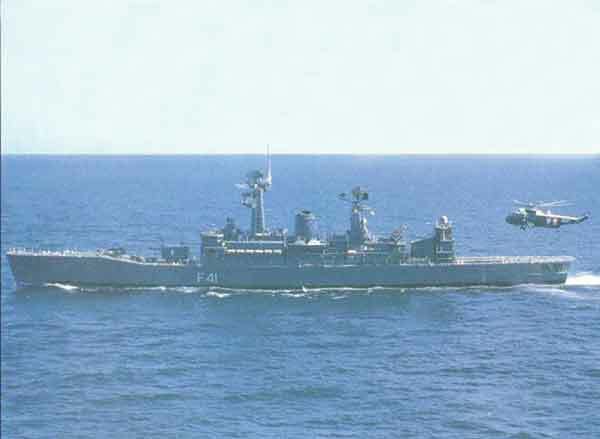 The sixth and the last in the series, the INS Vindhyagiri, was similar to Taragiri. Construction commenced on July 05, 1976 and was commissioned on July 08, 1981. By the sixth Leander, the indigenous content of bought-out equipment had risen to 70 per cent. The fifth and sixth ships had an imported content of only 27 per cent as against 70 per cent in the case of the first frigate. In early 1973, NHQ initiated studies to improve the anti-submarine capability of the fifth and sixth Leanders. The Leander Project was a new experience and was the transition to indigenisation. The first ship was made totally from sub systems imported from UK. 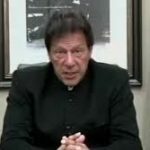 The second ship had partial indigenisation in the sense that whatever systems were available within the country or could be developed, were utilised. The remaining systems were imported. One of the most important things which strengthened the confidence of NHQ was the transition from the first frigate to the second frigate. This was handled with a great degree of success by NHQ. Over a period of time and with experience, the Navy started to modernise its projects, redesigned the fifth Leander, the Taragiri, with one Seaking helicopter and went on to the seventh frigate, the Godavari with two Seaking helicopters. Project 16 was the designation given to the three frigates that followed the six ships of the Leander Project. The staff requirements for this new design were formulated in 1972 before Nilgiri, the first Leander, had even been commissioned. 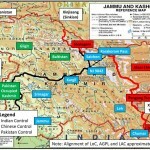 They incorporated the lessons learnt in the 1971 Indo-Pakistan War. Since the constraints precluded a totally de novo design with gas turbine propulsion, the Naval Staff approved this hybrid weapon package but retained the indigenous propulsion machinery and other equipment developed for earlier Leanders. Approval was also accorded for embarking two Seakings along with a system that would assist the recovery and movement of these heavy 10-tonne helicopters on a heaving deck. End 1975, the Naval Staff and the Government accepted this design. Detailed drawing and design work started in 1976. The work on the design of Project 16 commenced in 1974, the preliminary design was completed by 1975 and work then commenced on the detailed design in 1976. When they started the design, they had no data on Soviet weapons and systems.